Seeing that it says "Day 7 of 6" doesn't really make sense. Let's change that last number so that it days day "7 of 7". 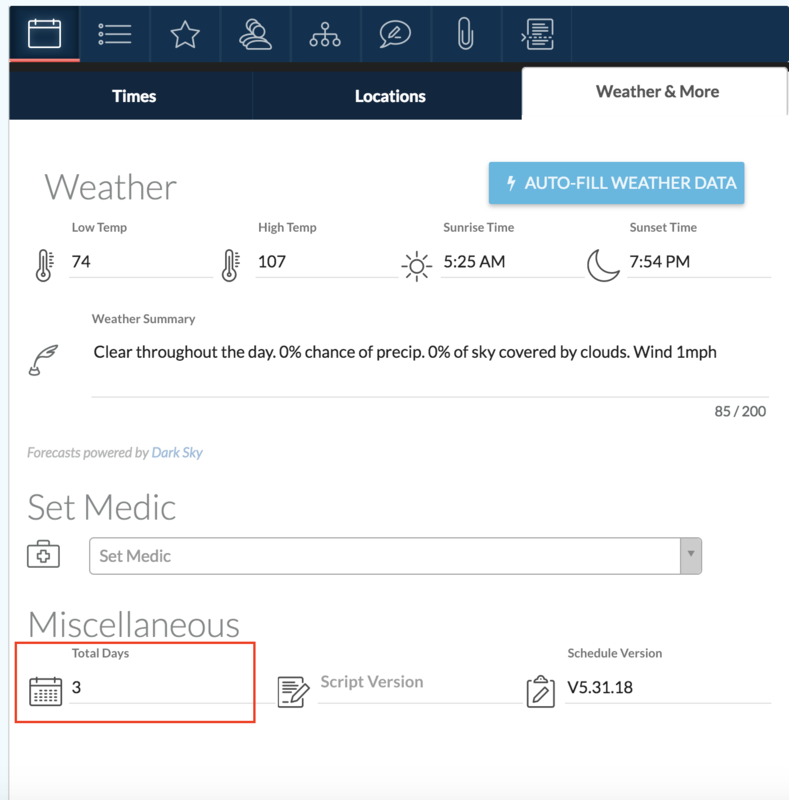 To do this, go to the "Day Info" tab of the call sheet editor and then click on the sub-tab "Weather & More". Down at the bottom of this section you'll see a field for "Total Days". This field controls what you want listed as the total number of days in your shooting schedule and will be updated across all call sheets.